The state of well being in Traditional Chinese Medicine (TCM) is based on the belief that health is determined by a balanced flow of the essential life energy circulating in all living organisms and is called “qi”. Comparable to electricity, this energy is invisible to the human eye. However, about 5,000 years ago experienced Chinese doctors who could feel and trace these pathways of energy with their hands, mapped these meridian lines. Meridians are our body’s “energy bloodstream”, each is associated with specific internal organ systems and specific emotions: they bring vitality and balance, remove energy blockages and imbalances, adjust metabolism and determine the speed and form of cellular change. Their unobstructed run is as critical as the flow of blood; our life and health depend on both. If a meridian’s energy is blocked this will result in a disease. Emotional Issues – Anxiety, depression, insomnia, stress. 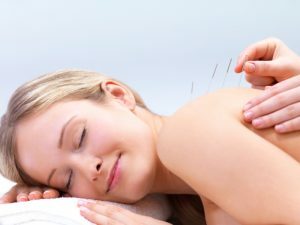 Acupuncture is particularly useful in resolving physical problems related to tension and stress and emotional conditions. Respiratory/Ear Nose Throat – Allergies, asthma, flu, common colds, emphysema, recurrent chest infections, eye diseases, hearing loss, vertigo, sinusitis, sore throat, laryngitis. Miscellaneous – Chronic pain, diabetes, fatigue, immune deficiencies, hemorrhoids, hypoglycemia, hepatitis, Urinary Incontinence.